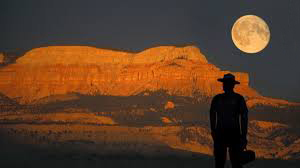 Exploring the ancient cultural and earth wisdom traditions of the American Southwest and Mexico through guided journeys and service actvities. 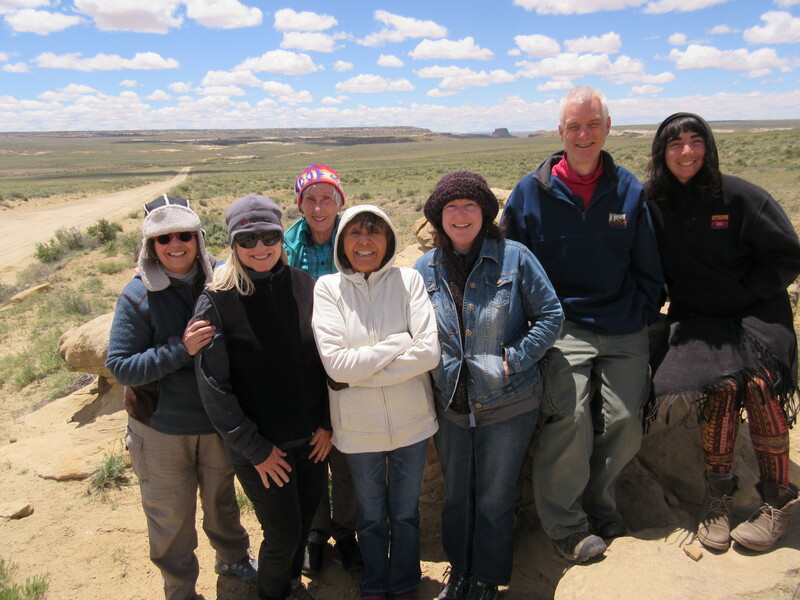 EARTH WALKS TO CHACO CANYON—JOIN A WONDERFUL GROUP OF TRAVELERS TO THIS SPECIAL PLACE IN THE AMERICAN SOUTHWEST! 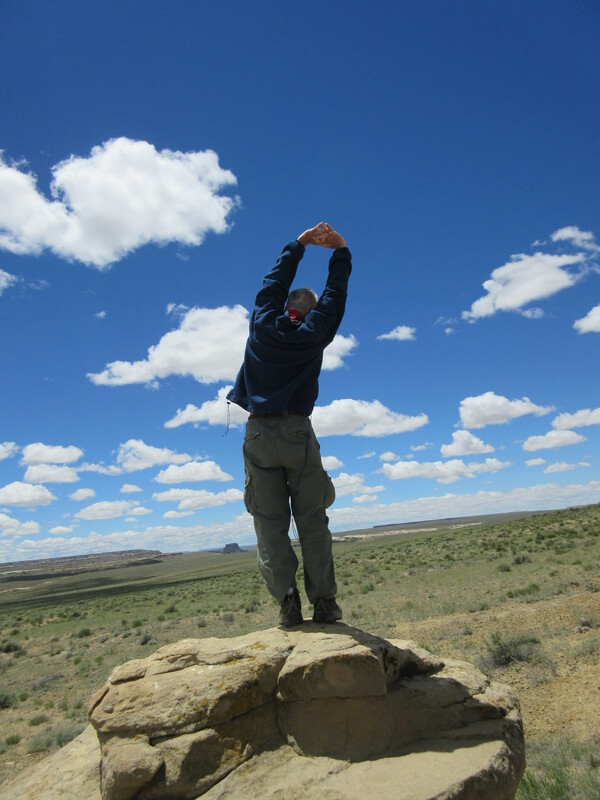 Come join the journey to Chaco Canyon October 6-8! 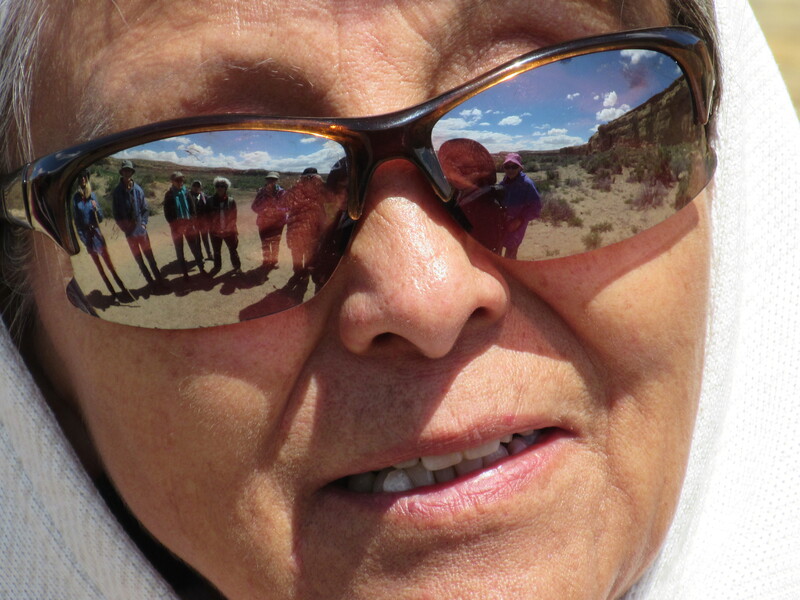 It’s a holiday weekend…led by a family of Tesuque Pueblo who consider Chaco to be ancestral homeland. Time alone and time with a wonderful group of fellow travelers. All meals prepared for your at campsite…and all for a very affordable price. Registration deadline is September 6. 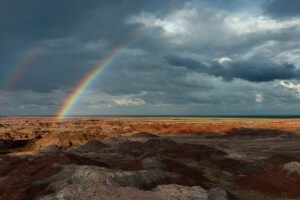 At an elevation of 6,200 feet, Chaco is a high desert, sun-scorched in the summer and bitterly cold in the winter. Despite these harsh conditions, evidence of human presence in the area stretches back to as early as 2900 BC. These groups were largely nomadic, until around AD 200, when the first farmers settled in the area and built small pit houses. Then in roughly AD 850, a great change took place. The people began building in a radically different manner, constructing massive stone buildings unlike any that had been built before. These structures soared to four or five stories and contained up to seven hundred rooms and dozens of mostly circular underground ceremonial rooms. 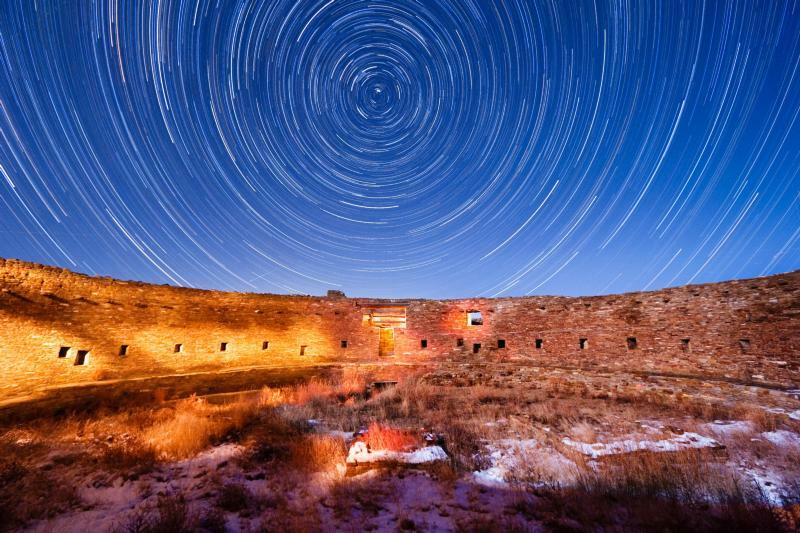 The architecture was a feat of engineering, often built along celestial alignments, they included water-collection systems and were linked to outlying communities by an extensive network of roads. These elaborate buildings evidence a sophisticated and highly organized culture, with Chaco Canyon at its center. Transportation is by carpooling. Lodging is camping or camper truck/van. Participants responsible for own camping equipment. No RV. The people of Chaco demonstrated extraordinary observations of astronomical phenomena which they incorporated into their buildings by designing, orienting and locating their major buildings in relationship to solar and lunar events. This required advanced architectural and design skills, scientific observation and social cohesion. Some think the civilization that flourished here parallels that of Aztec, Mayan and Inca cultures. 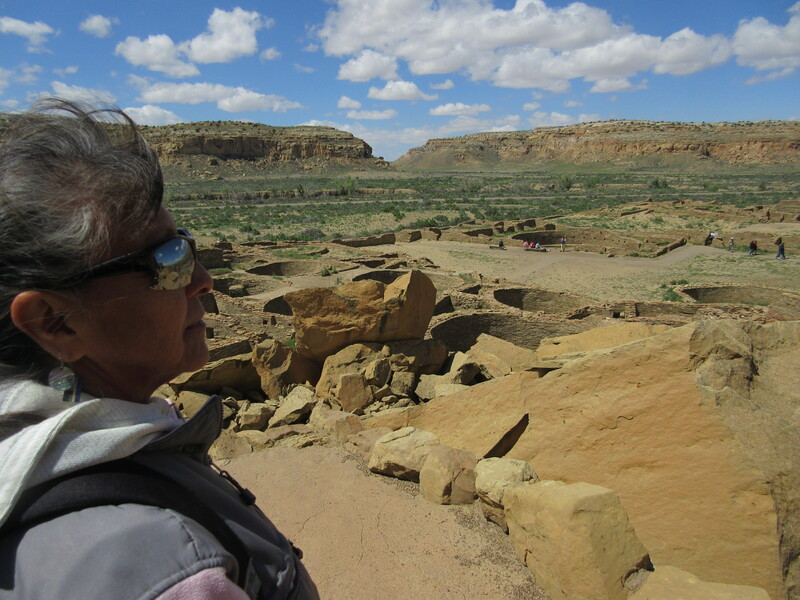 This autumn, join a journey into the vast silence and wonder of Chaco Canyon National Historical Park. There is no accident that Chaco, located in northwestern New Mexico was designated a United Nations’ World Heritage site. Containing the most sweeping collection of ancient architecture north of Mexico, the park preserves one of the most important pre-Columbian cultural and historical areas in the United States. Chaco is remarkable for its monumental public and ceremonial buildings, some of which are unlike anything constructed before or since. Between CE 900 and 1150, Chaco Canyon was a major center of culture for the Ancient Pueblo peoples, and now we are invited to visit this special place guided by Pueblo people who consider Chaco their ancestral home. Chaco itself offers the invitation. As one of the Park rangers has said Chaco video , for many people these are not empty buildings that express something from the past; to those who consider this site sacred, there is still life in these buildings and land. It was August 4th, 2018 and I was at Kewa (Santo Domingo Pueblo) south of Santa Fe, New Mexico to attend the annual Corn Dance Ceremony and Dances. Really more like a prayerful event, in which hundreds of dancers of all ages participate from the village. As I made my way through the maze of walkways into the central plaza area, I ended up walking next to a group of dancers who were headed in the same direction. Not wanting to disturb their focus, I was silent. Then one of them called to me: “How are you doing today?” That opened up a friendly conversation. They were all teachers at the Santa Fe Indian School and I had worked in the Santa Fe Public Schools for many years. It felt like a blessing and honor to be in conversation. I shared with them an experience I had almost 40 years ago when I had attended the dances for the first time. Taking a break, I took my sack lunch out to the parking area in an ocean of trucks and cars. I found a concrete curb to sit on and began to eat. Then from behind me somewhere a woman’s voice yelled at me: “What are you doing? !” Uh-oh. I thought perhaps I’d violated some Pueblo rules or etiquette. I turned around to see the woman standing in the doorway of her home, adorned with a kitchen apron and waving at me. “Come in! Come in and eat!” And so I did, with strangers who felt like family. That was my introduction to Pueblo generosity and friendship. Santo Domingo Pueblo, on the east bank of the Rio Grande about 40 miles north of Albuquerque, is the scene each August 4th of the largest Indian dance ceremonial held annually in the southwest. This is the feast day of St. Dominic, patron saint of the historic Indian Pueblo, and more than 1,000 Santo Domingo Indians join a presentation of the colorful Green Corn Dance. Men, women and children, all in beautiful ceremonial attire, dance under the sun in the big plaza of the old historic pueblo to the sound of chanting and pounding drums. 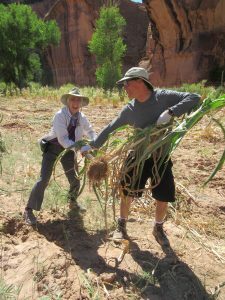 The Green Corn Dance at Santo Domingo Pueblo each August 4th attracts thousands of spectators from all parts of New Mexico and even from the far corners of the world. Feast Day activities begin with a morning mass in the picturesque mission church at the east edge of the Pueblo. After mass, a statue of St. Dominic is carried in a procession from the Church to a place of honor in a bough covered shrine on the pueblo plaza. Here, St. Dominic will remain until the ceremonial dance is completed. Then it will be returned to the Church. The Green Corn Dance begins in front of the Church by 10 am and will continue throughout the day. Members of the Squash and Turquoise clans will alternate in the dancing. Pueblo Indian potters and silversmiths will display their wares for sale on the tables and on the grounds in the Pueblo and food concessions and carnival rides will be set up. Since this is a religious observance, no photography, sketching, or tape recording will be permitted. No alcohol beverages/illegal drugs or contraband are allowed on the Pueblo. As I drove away from the Pueblo, a huge cloud had begun to form over the Jemez Mountains to the East. Looking back it seemed to be like a giant feather stretched over the wide New Mexico sky, spreading its blessings of coming rain over the Pueblo and dancers. Ah-ho! If you would like to receive special announcements about EarthWalks events and activities, please sign up to receive our email newsletter. Happy New Year from Earth Walks! CHACO CANYON JOURNEY–ONLY A FEW SPACES LEFT! doogie on Canyon de Chelly Journey in September!